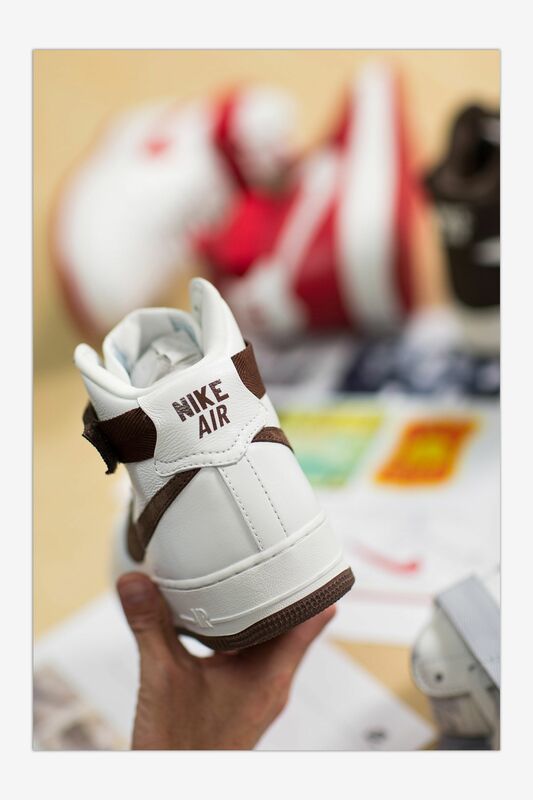 No detail was overlooked when it came to recreating the 1983 Air Force 1, including the classic Nike Air branding on the heel. "This was again about sweating little details", says Tolliver. "I think this is probably the first thing that people recognise on the shoe that is different, because, at this point, there have been so many Air Force 1 styles and all you see is that Nike Air Futura branding." 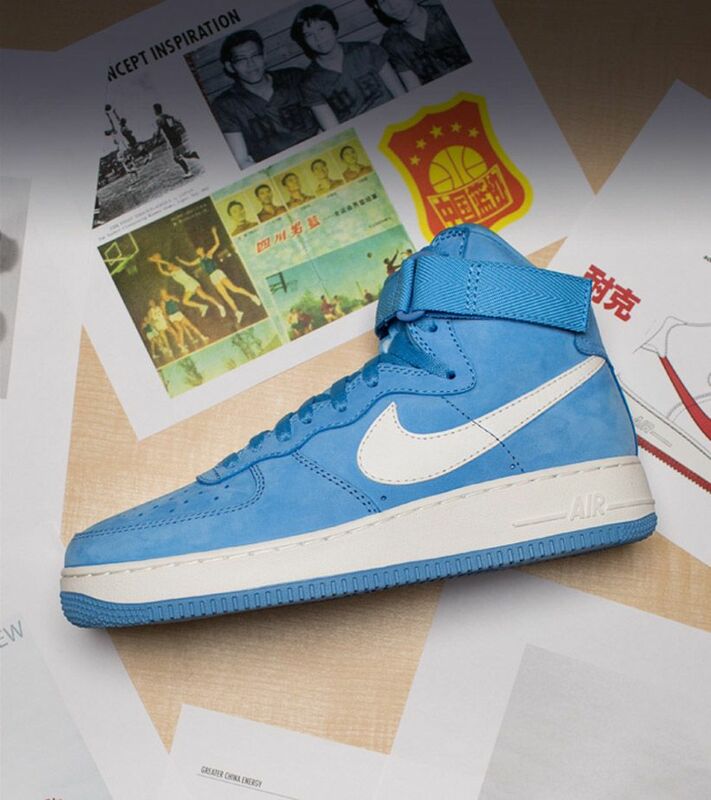 Introduced at the end of 2014, the Air Force 1 Retro first arrived in two China-inspired colourways. Done up in both a home and away "NAI KE" edition, the red and white tones took inspiration from uniforms originally worn by the youth in China. When it came time to launch remastered editions in North America and beyond, the team wanted to start at square one. Tolliver explains, "as we progressed beyond just the 'NAI KE' offerings, we wanted to start at square one and square one is that #4190 silhouette, or White/Silver colourway. 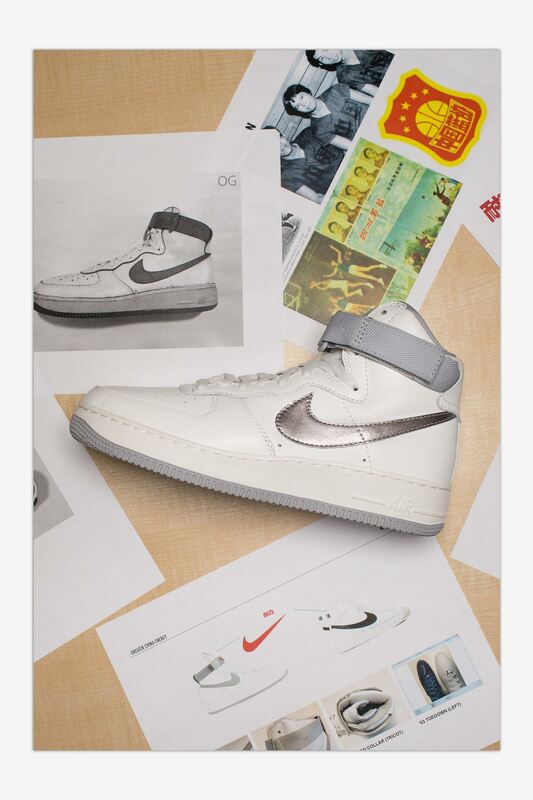 And you can't say you're going back to the start of the Air Force 1 without doing the first Air Force 1." 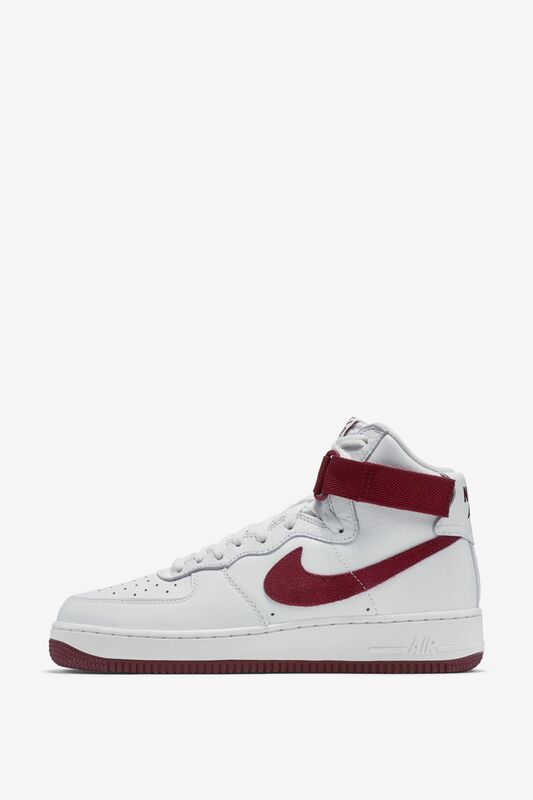 Style #4190 from 1983 represented the pioneering days of the Air Force 1 as a cultural phenomenon. Once the one that started it all went away, consumers and retailers demanded it back, particularly three retailers in Baltimore, Maryland, USA. 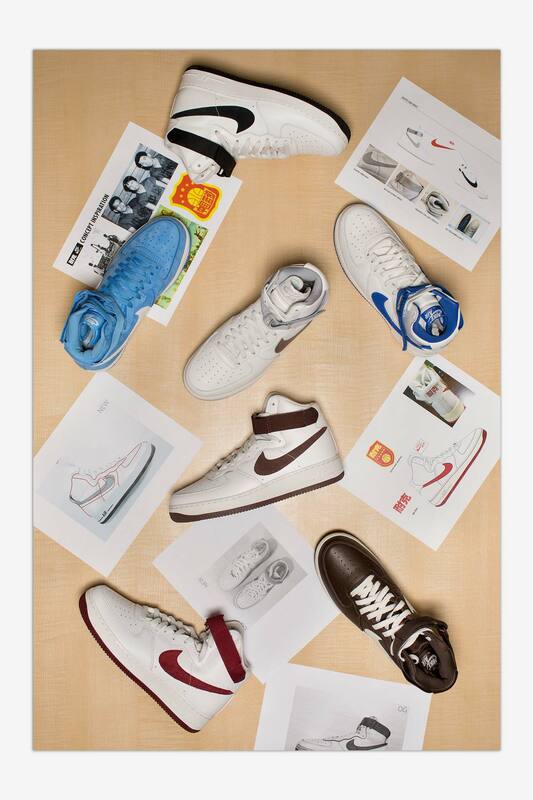 These three retailers lobbied Nike to bring back the Air Force 1. As the story goes, Nike agreed, but only if the retailers would take 1,200 pairs of two initial colourways. The retailers eventually took on the 1,200 pairs in White/Royal Blue and White/Chocolate Brown colourways, completely selling out in no time and jump-starting what would go on to be known as the "Colour of the Month" programme. 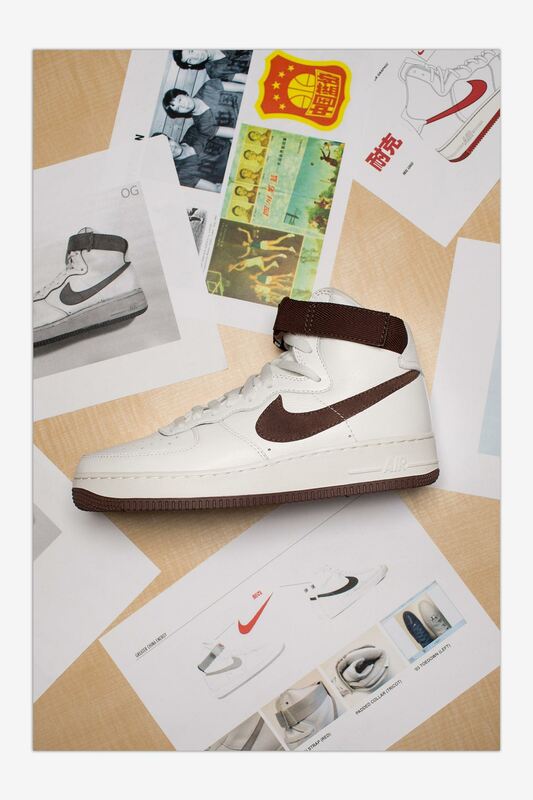 As the storyline progresses, you'll begin to see additional styles and colourways that represent the organic rise of the Air Force 1 to icon status, and how it became a shoe by the people, and for the people. "The people were the ones who asked us to bring it back", says Tolliver. "So, one could make the argument that the Air Force 1 is the start of Nike Sportswear, as it was the first shoe we actually brought back after it was out of circulation."